To call Jeremy Messersmith a musician is half-truth: He's also a storyteller, who has carefully crafted a trilogy of songs that narrate life. His first full-length release The Alcatraz Kid is a moving collection of acoustic-driven lullabies with titles like ?Novocain? and ?Beautiful Children? that innocently question the purpose of things to come. 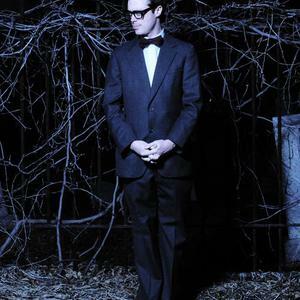 The integrity of these delicate songs immediately struck a chord with critics and fans alike, and captured the attention of Semisonic's Dan Wilson, who offered to produce Messersmith's follow-up album, The Silver City. The Silver City was a natural progression in sound and reflection: the compositions grew fuller and more dynamic with a classic-pop feel inspired by the Beach Boys and Beatles: While the topics focused on midlife struggles with tracks like ?Dead End Job? and ?Miracles.? Local and national attention soon followed with NPR and college stations around the country, followed by U.S. tours and sold-out shows in New York, Chicago and Minneapolis. The Reluctant Graveyard bookends this trilogy of lifelong (ahem, literary) observations with songs like ?Lazy Bones? and ?Organ Donor,? and sonically continues on the '60s chamber pop path Messersmith set out with his sophomore release. He continues to share stages with notables such as Sondre Lechre and The Watson Twins, and has been featured on MTV and Ugly Betty. And while this collection of songs comes to an end, it's no doubt that the stories will live on.